Can we build it? 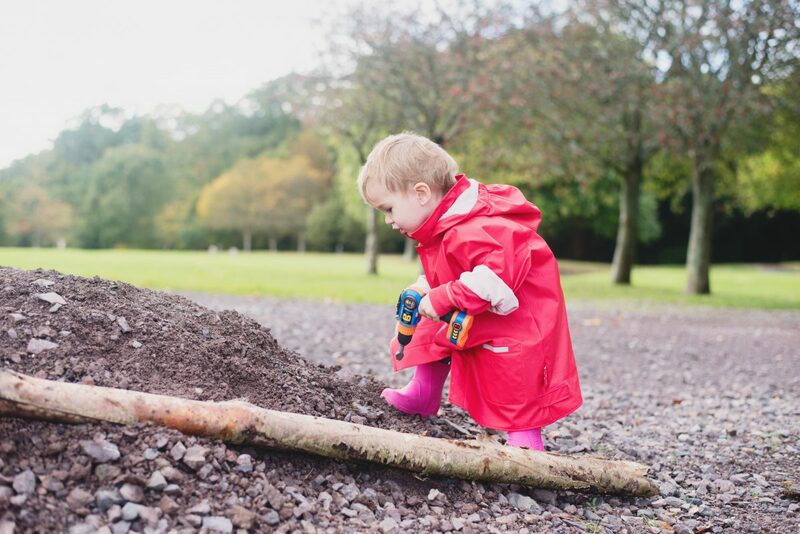 Well, if it’s needs building in our neck of the woods, with the amount of Bob the Builder Smoby toys we have here at the moment, we’re pretty sure we have it covered. We’ll even sing whilst we’re doing it. 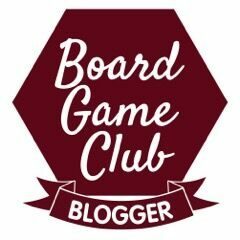 If my boys enjoy one type of play, it’s imaginary play. Lost in worlds of their own, it doesn’t matter that they’re 2, 4 and 6 – they’re all on the same level in another dimension, being whomever they want and being amazing at it. 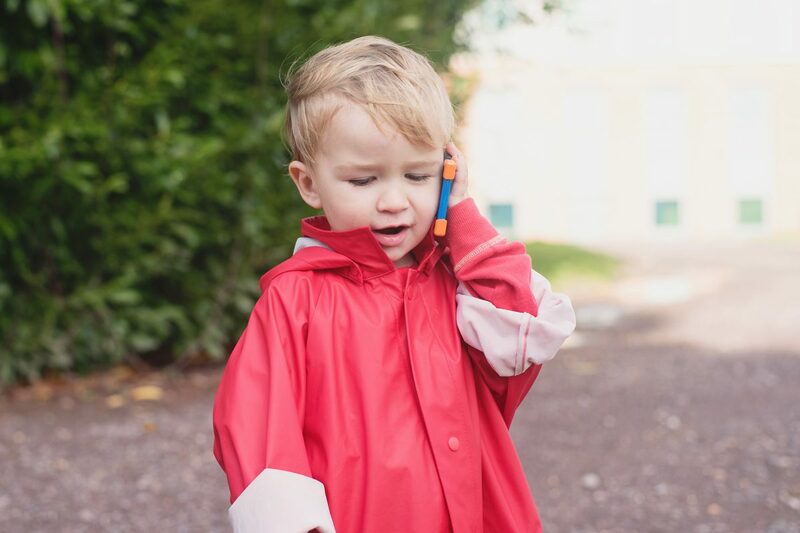 This weekend, Yotie was Bob the Builder, in charge of his own crew – except Hero wouldn’t believe that Yotie was Bob for real and kept trying to call Bob on the little phone he got in the tool pack, which was the sweetest ever. “Bob? Yotie got’chor hat!” Hero was not impressed at all with his brother in Bob’s clothing. 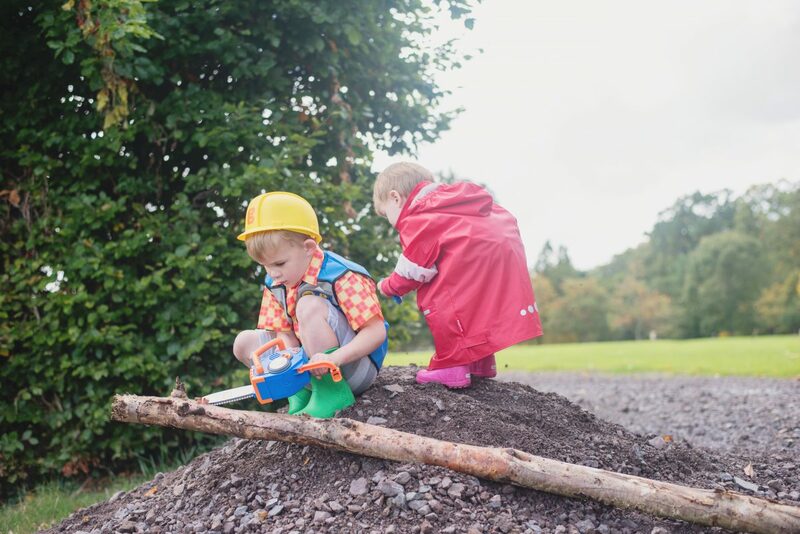 We took the boys out to the rubble patch and set up shop. 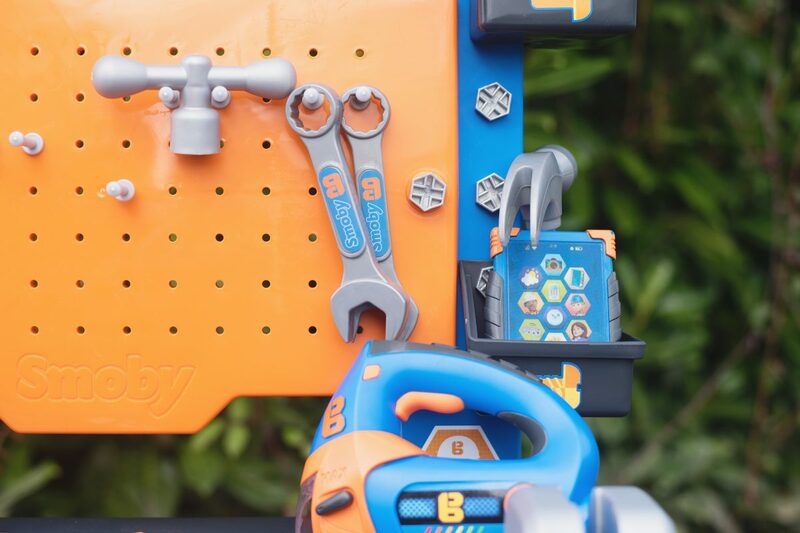 The range of Bob the Builder Smoby toys is fantastic – and they’re all built to be hands-on toys, engaging and hard wearing, and so there’s no arguing and a lot of swapping of tools for different jobs. 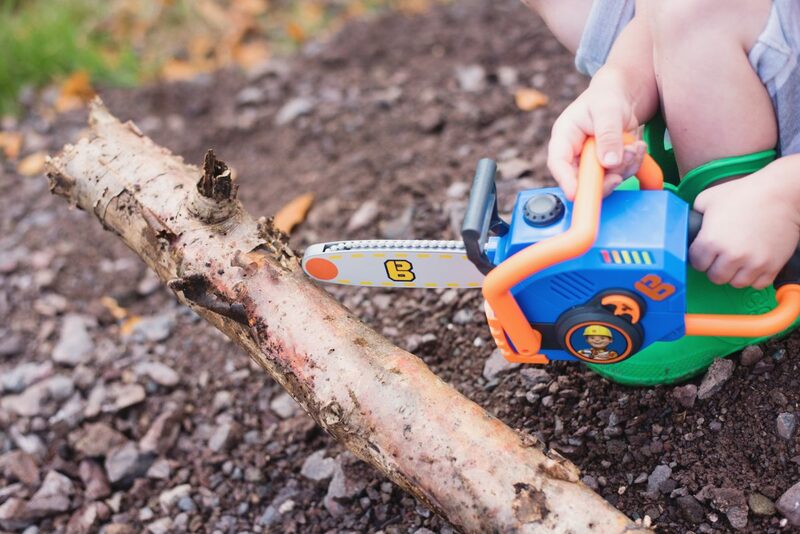 If you’re thinking of asking Father Christmas for some Bob the Builder Smoby toys this year, there are some brilliant new toys available. 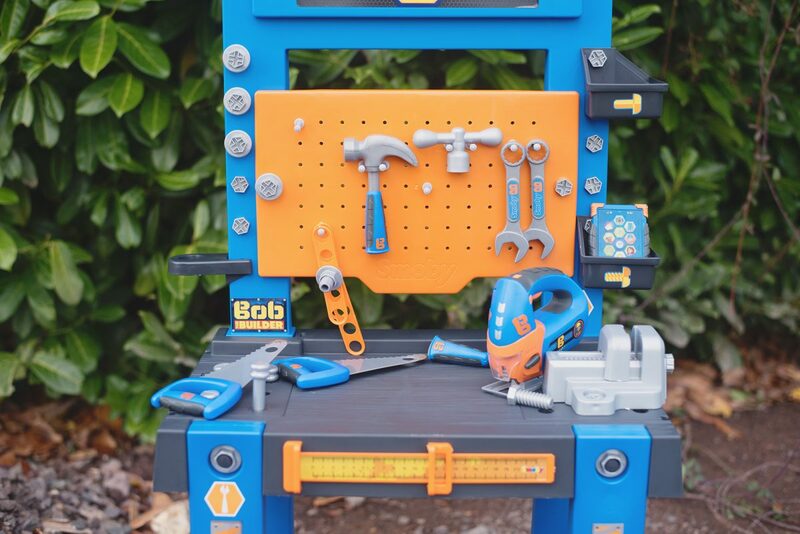 Power tools, costumes, tool benches – the new Bob range is really so exciting. 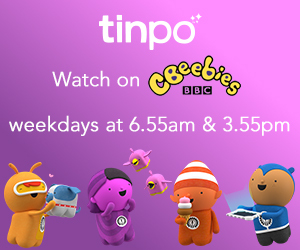 We’re huge fans of the show and we’ve had so much fun playing with some of the new remote control and building toys that we thought it couldn’t get any better – but the pretend play toys are superb. The chainsaw is Lyoto’s favourite of the Bob the Builder Smoby toys – there are two buttons on the toy – one of which makes a starting up noise, and the second which makes a sawing noise and activates the toy – a chain of little beads spin on the chainsaw making it look like a chainsaw, and yet miraculously not coming off the toy when it’s used as a saw against objects. 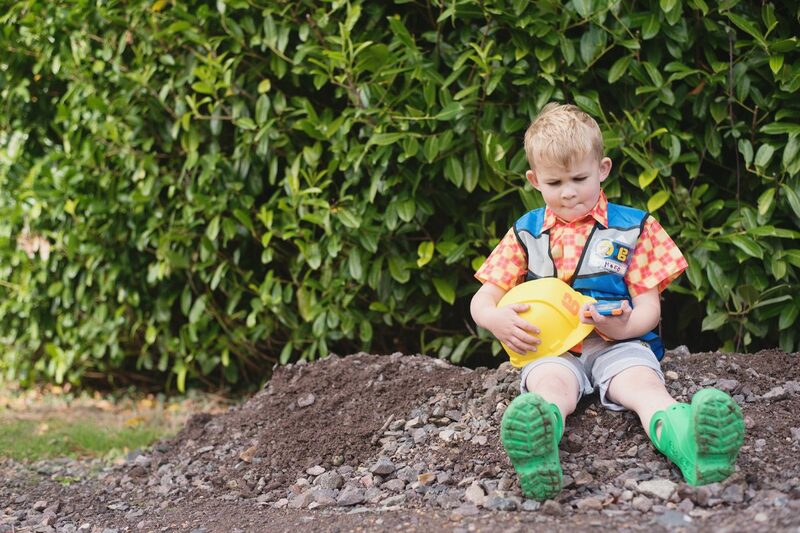 Hero took to the drill immediately – being able to take out the drill bit and replace it made him feel just like daddy fixing things around the house, and watching it spin little holes in the rubble made him so proud that he was getting the job done, just like Bob. 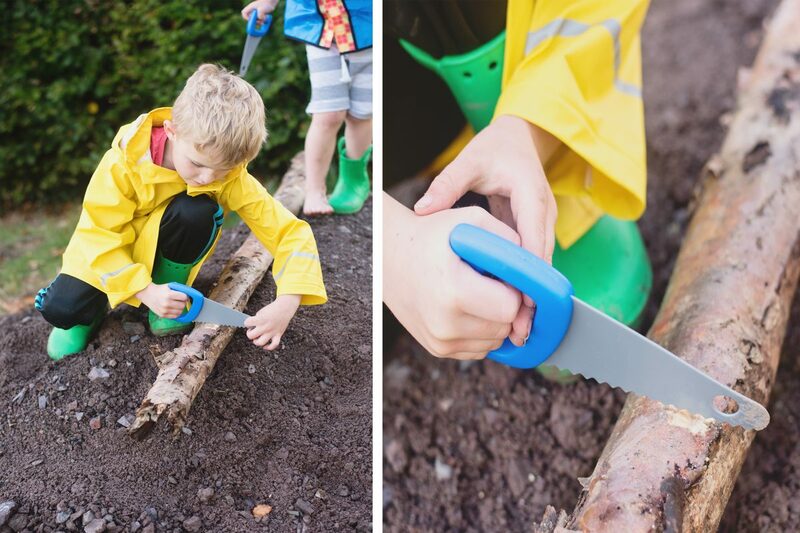 The jigsaw tool is fantastic and the little saw pops up and down – but as we don’t own one of these ourselves, the boys thought it was an iron and have taken to making sure Bob’s top is pressed and ready instead. 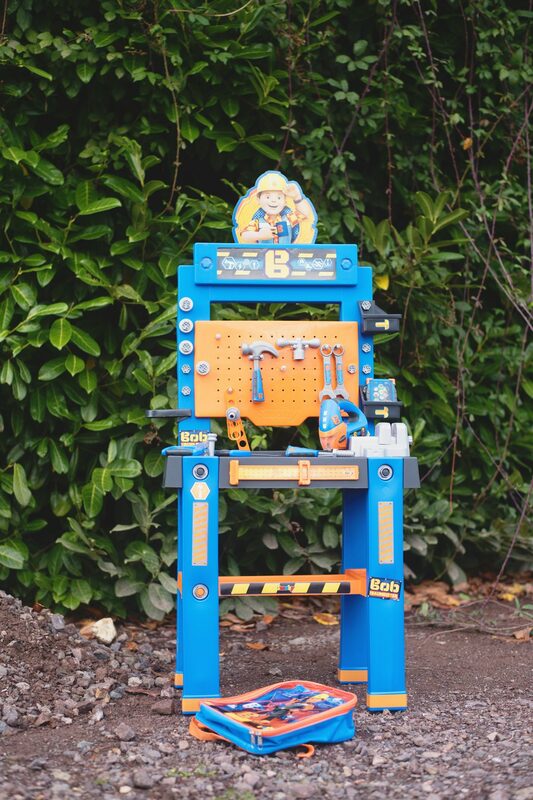 Jensen’s preferred toy was the tool bench, which they used as the base for their building company. This is such an achievement – I built this in 30 minutes. Me. By myself whilst the mister was at work. All I couldn’t figure out was how to attach the handle of the vice, but other than that it was so easy to do with the instructions. 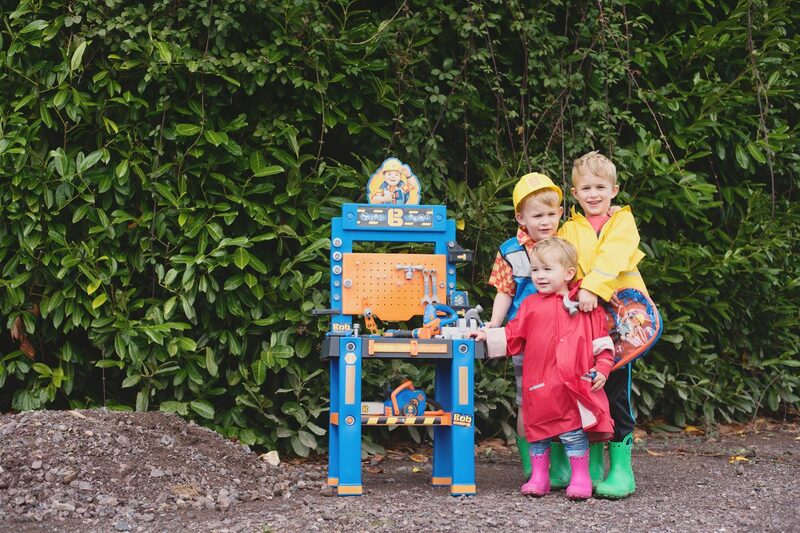 The set comes everything needed to create your own little building business – and the whack-a-mole style nails for hitting had Hero in fits of giggles – and then big brother joined in to see how far they could shoot a nail across the room. The stickers are easy to apply – and easy to reposition thankfully as Hero was giving me a hand whilst I was trying to fix the little ruler sticker onto the bench. 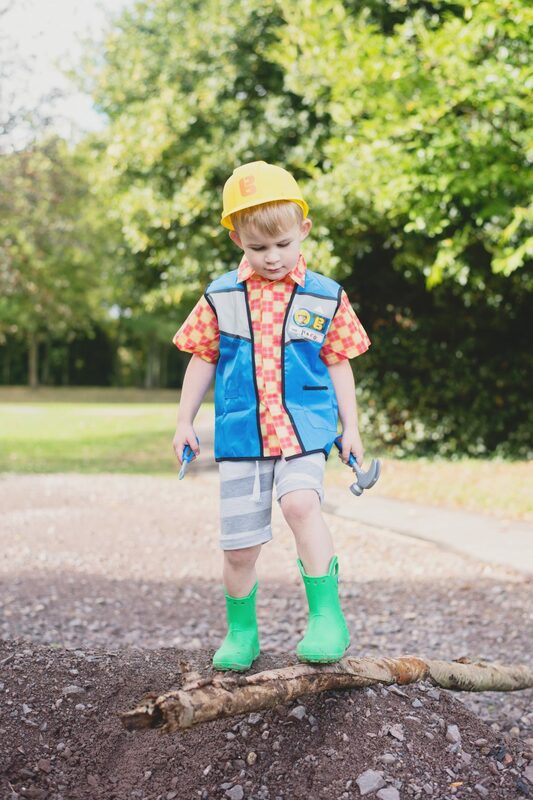 The Bob rucksack, filled with tools is perfect for birthday presents and brilliant for packing a little builder’s lunch into when the tools are being played with, and the costume set has a much lighter and so greatly improved hat from previous sets. It’s made for smaller heads and not as painful to wear. I’m also so glad that this one isn’t musical because Hero’s little hands couldn’t reach the button on the last musical hat we had, and he spent the entire time wearing it not wanting to move from me because he couldn’t operate it himself. The Bob shirt has velcro patches at the front and a cool name badge which slots into the pocket of the shirt, which is made from a waterproof like fabric and is pretty windproof according to Lyoto. 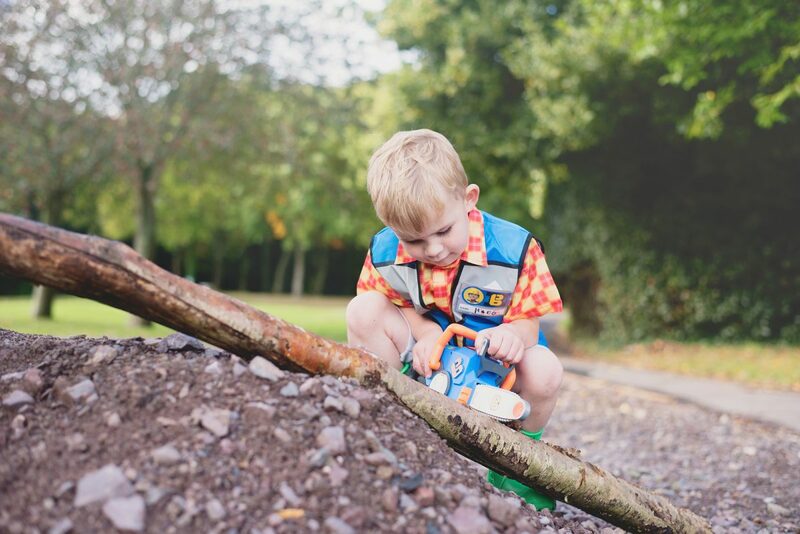 In total, three power toys, a fully stocked toy bench, costume and extra set of tools with a bag comes to approximately £110 – which is an average of £35 per child for a group Christmas gift. That’s pretty amazing value in my opinion, and given that the toys are so durable too, they’ll last until they’re handed on to someone else to enjoy. Time for a lunch break, I think! 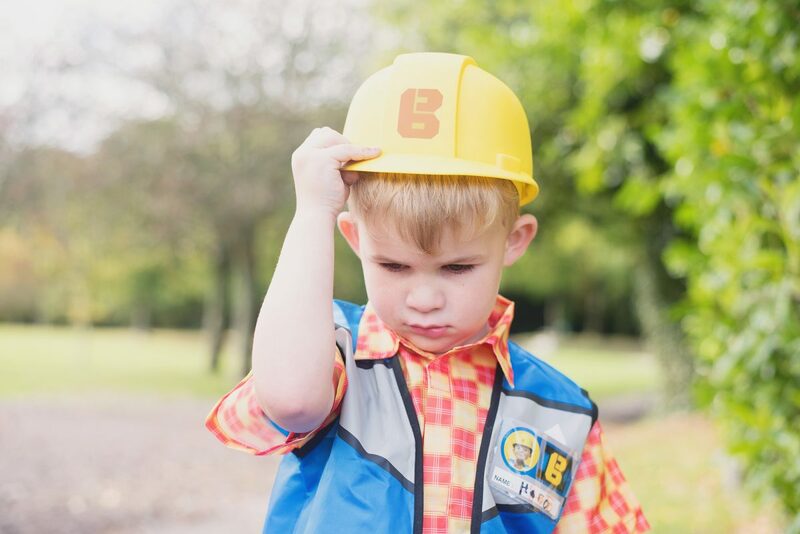 Bob the Builder Smoby Toys are available in all good toy stores – we were sent ours for the purposes of this review.